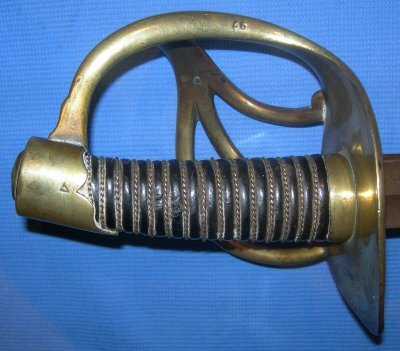 A May 1816 French An XIII Cuirassier sword in very good condition. One of the best condition An XIII's I have ever seen (I 100% guarantee this is an authentic An XIII). A rare item as this is just prior to the model change of the same year. The above blade images of the date inscription and inspection marks (poinçons) confirms this sword as authentic and made in May 1816. 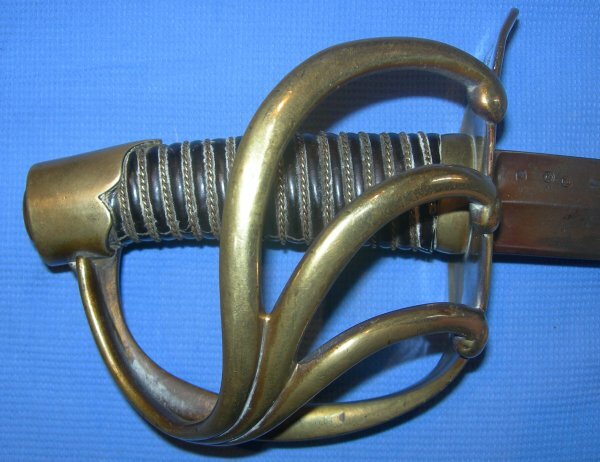 As I have handled many An XIII's, I have immediately noticed the changes made by the French after the restoration of the monarchy; the extra number of grip wire turns, the slightly amended blade, the location of various stamps such as the Versailles hilt stamp and rack numbers. This is an exceptionally good sword and one any self-respecting An XIII or other collector needs to have in their collection. The 95.5 cm blade is in overall very good order and is firm in the hilt. 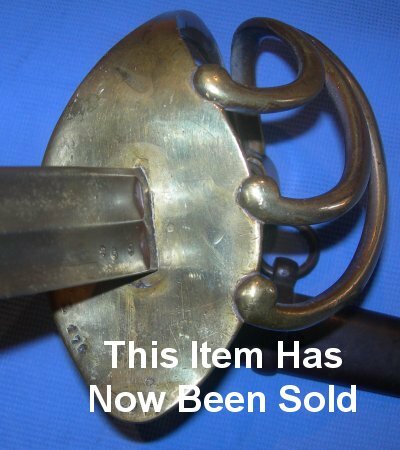 The hilt is nice and clean, no apparent damage. The original leather grip and twisted grip wire bindings are very good, a little aged, the wire a little loose one turn. The sword sheathes well into its very good condition and nicely browned scabbard (the scabbard was "browned" when made). A very good condition example. Well worth the price tag. Further / full sized images upon request. My item reference number is 725 (300).